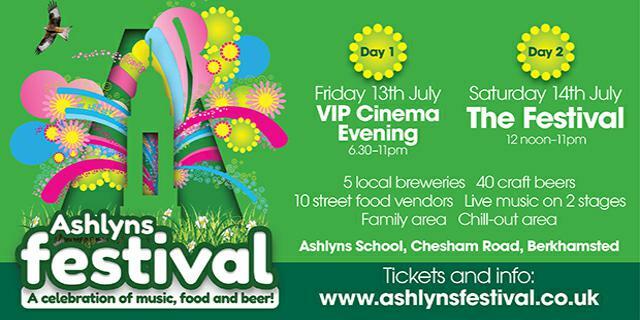 Ashlyns Festival is a two-day celebration of the start of summer and a fundraiser for Ashlyns School in Berkhamsted. We kick off with VIP Cinema Evening, showing The Son of Rambow, filmed at the school, continuing on to Day Two with live music, craft beer, prosecco and gin bar, international food and a family zone full of great entertainment for children. A fun day out for the whole family.